Catcalling is more than just an annoying distraction during my walk to work in which I attempt to enjoy the little bit of fresh air that I will experience for the day. It’s a daily reminder that as a woman I am merely an object that men are free to comment on, whistle at, and approach at will. However, it only has been recently that I began to refuse to see this as simply rude or ignorant behavior–it is blatant harassment. The prevalence of street harassment was given much overdue attention after a video went viral that showed a woman in New York experiencing over 100 catcalls (and one stalking event) while walking for 10 hours. The endless commentary by men of all ages and races is not about offering compliments and asserting their First Amendment rights as many claim. It is about women, especially women of color and those who identify as LGBT, living on edge in a patriarchal society that condones gender based violence with little or no consequences for the perpretrators. Luckily, some people are doing more than just going about their business. 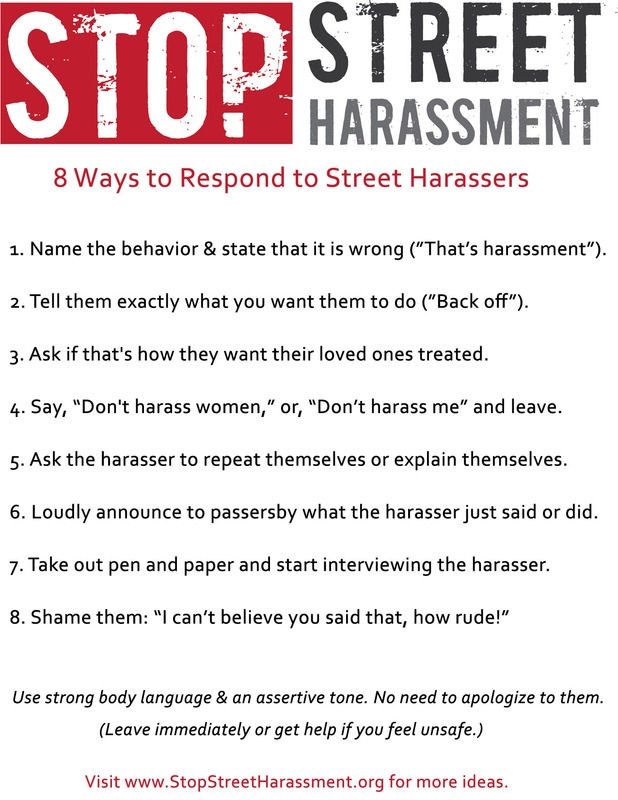 Women and men throughout the world are taking action against street harassment in all its forms. Jeremy Corbin, the Labor Party frontrunner in England has suggested adding “Women Only” train cars for late night use to provide a safer commute for girls and women. Tokyo introduced these cars during rush hour and on heavily traveled lines in 2005 after groping had tripled within eight years. (NOTE: I fully understand this is not getting to the crux of the problem and it may cause increased harassment for those women on mixed gender cars.) 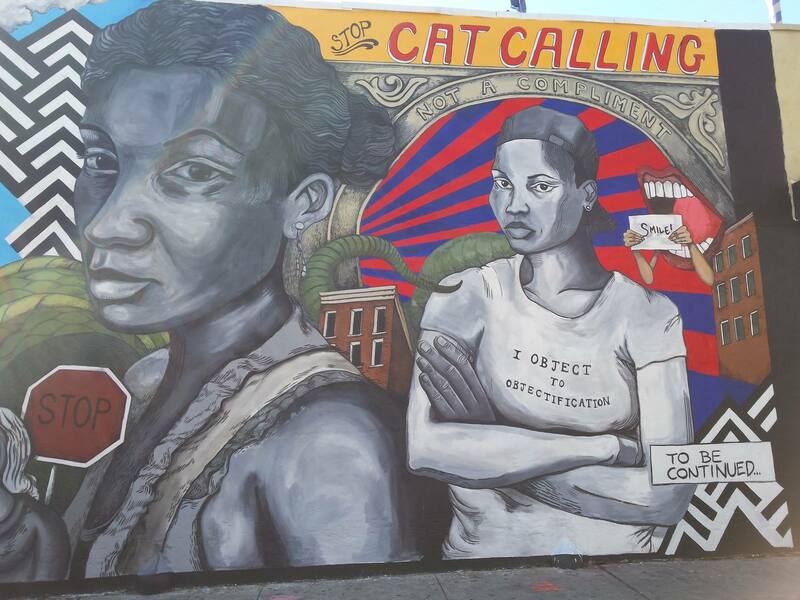 Tatyana Fazlalizadeh fought back through a nationwide exposition of street art and murals. Hollaback! has taken to social media to organize women internationally to share their stories and to fight street harassment in their own cities. And StopStreetHarassment.org has countless global resources, research, and events to combat this abuse. But this is nothing new. As women, we are constantly being told how to protect ourselves. Dress “modestly”. Don’t stay out late. Take a self-defense class. Buy pepper-spray. Don’t walk alone.